2019 Update: We added even more subject lines to nail your Easter email campaigns! Find them near the bottom of the article! Spring is in the air (or for some regions fast approaching)! Along with the budding greens and blooming flowers, marketers everywhere are planning a host of exciting new marketing ideas for the season. One of the biggest occasion in Spring is Easter. In 2017, Americans spent $18.4 billion at Easter. That’s a 6 percent increase over 2016’s numbers. Across the pond, British consumers plunked down 10 percent more on eCommerce purchases at Easter, lifting overall retail numbers for the quarter. This article takes you through some of the marketing ideas you can explore for Easter this year, along with 12 creative Easter subject lines to take your email marketing up a notch. Much like Valentine’s Day, Easter has grown from a holiday dedicated to a sumptuous dinner and children’s activities into a major retail event. People buy Easter decorations, new spring outfits, candy, and extra groceries for the holiday. Surveys show 87 percent of parents will provide Easter baskets for their children, and 80 percent of those same parents will indulge in some of the kids’ candy themselves. In fact, $2.4 billion of last year’s Easter expenditures was spent on candy, much of it chocolate, which Americans are supposed to be avoiding. Not only is Easter ramping up its revenue generation, but it’s becoming more diverse as well. Easter as a secular retail holiday is no longer limited to the U.S. and selected parts of Europe. It’s spreading around the world. Latin America – with its Christian religious heritage and rising middle class – is quickly becoming a major consumer of Easter products. By age demographic, Millennials make up the largest buyers of Easter products. That could be due to the fact that they are more likely to be the parents of young children – who love candy and Easter baskets – than other generations. Ecommerce is increasingly becoming the purchase channel of choice for these consumers. But the Easter Bunny only brings buyers to online brands that work hard for them. What works in Easter email marketing campaigns? Generally, the same tactics that bring in eCommerce buyers on other holidays like Valentine’s Day also generate revenue during Easter. Consider that on this past Valentine’s Day, the overall order volume increased by 11 percent compared to 2017, and email marketing generated orders grew by 17 percent in comparison. As usual, email stands out as the marketing tactic of choice. Example of Easter email template from ContactPigeon’s template gallery. It’s fair to say that innovating with email marketing over Easter is key to increasing Spring revenue. Two key factors to a successful email campaign are great Easter subject lines and automation. A majority of email recipients decide whether to open or discard an email based on its subject line alone. Marketing automation moves beyond mass emails to a system that allows you to segment, retarget, track, analyze, and make corrections. 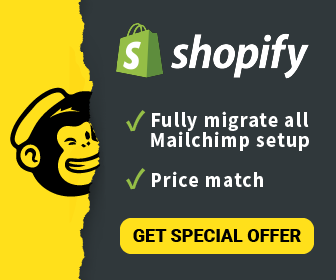 Top automated marketing systems in eCommerce make sure that the email provider stays in close contact with data gathered from Shopify. Let’s consider Easter subject line examples before we hop over to marketing automation. (New!) X EGGcellent gift proposals for your beloved persons! (New!) These are the best Spring offers you will see. (New!) 20 Blossom Awesome Deals just for you! Easter Sales Offer You 15% Off. Hop Over to Enjoy Saving. Spring into Savings with Our 15% Off Easter Sale. March into Easter Looking Great with Our New Product. Jump Start Your Easter with These Big Savings! Happy Spring/Happy Easter from (Your Brand)! Goodbye, Winter. Hello, Spring Sales. A Sale EveryBunny Can Enjoy! Results-driven email marketing is much more than blasting your list with a message announcing your sale. Having appealing Easter subject lines is just a start. A good email campaign should be personal, relevant, timely, and easy for you to track. It allows you to do targeted remarketing so you don’t lose customers who lay their tablets down mid-purchase. To make your email personal, use your best Easter subject lines, address your customer by name, recommend products he or she has viewed or purchased in the past, and anticipate upgrades for future shopping trips. Make sure each segment of your list gets an email designed to appeal to their interests and buying capacities. Like boring Easter subject lines, generic content will get clicked away. Give yourself time to do a pre-sale drip campaign. You want your customers ready to enter their card number on the right day. Multiple reminders don’t hurt either, especially when they contain fun emojis, extra coupons, clever videos, or invitations to in-store events – provided you have a brick and mortar location. You may have a great automated email marketing plan that you can roll out for everyday, but what about Easter emails? Adjust your welcome email to include some catchy Spring phrases. Set up an Easter purchase reminder to target and reactivate older customers. Design an Easter-themed pop up to capture emails or promote your Easter offer. Don’t forget to use color popping Easter email templates. Implement the Easter subject line in each email automation you set up. Investing in a service that can provide automated email marketing is critical to take full advantage of Easter eCommerce sales. In 2018, an e-commerce business that wants to evolve and grow has to invest in new, proven tools that can help them raise their sales. ContactPigeon, recently awarded the Rising Star 2018 award from FinancesOnline, has more than 200 clients in the United States and Europe. We offer a plan with dedicated customer success experts who make reliable partners an e-shop manager can count on.